Rogue One: A Star Wars Story followed in the footsteps of previous Star Wars films by revolutionizing aspects of the visual effects process. Industrial Light and Magic's use of CGI to recreate Peter Cushing's Grand Moff Tarkin and a younger version of Carrie Fisher's Princess Leia wowed audiences and sent shockwaves through the VFX community. "Lucasfilm Limited and Walt Disney Pictures present the first of their interstitial adventures, inspired by George Lucas' Star Wars saga, focusing on Rebel Alliance fighter Jyn Erso (Felicity Jones) who leads a mission to steal the Empire's plans for a powerful new moon-sized battle station, the Death Star. Director Gareth Edwards collaborates with senior visual effects supervisor John Knoll, who co-authored the film's story, makeup effects supervisor Neal Scanlan, special effects supervisor Neil Corbould, and visual effects artisans at Industrial Light & Magic." 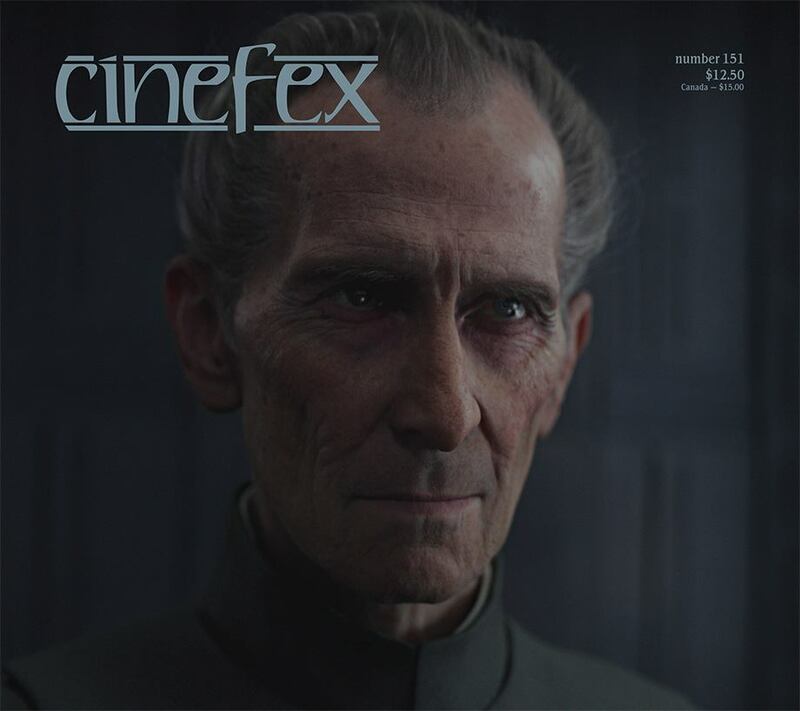 You can order your copy of Cinefex issue #151 by clicking here!